Cold Air Temperatures Making You Shiver? 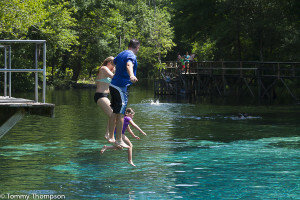 Take a Dip In a “High Springs” Spring! Take a short drive west from High Springs, Florida and you’ll find yourself confronted with 3 choices for swimming or snorkeling in 72-degree spring water. 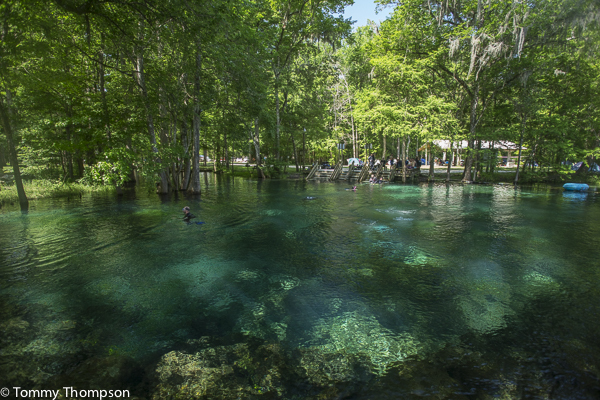 Florida’s springs, fed by the constant-temperature Floridan Aquifer (the largest self-replenishing aquifer in the world), are comfortable year-round, especially when the air temperatures drop and the water is warmer than the air! Poe Springs, at 28800 NW 182nd Ave, High Springs, FL, sits a short run from the Santa Fe River and is located within the boundaries of an Alachua County Park. There’s plenty of parking, but be aware that it’s about a quarter-mile walk to the spring itself. At the spring, you’ll find picnic areas and a set of concrete steps leading down to the water. There is NO CHARGE to swim in Poe Springs! Blue Springs Park is located just down the road from Poe Springs, in Gilchrist County at 7450 NE 60th St. The spring run to the Santa Fe River is a bit longer than the one at Poe Springs, and the spring is larger. There are also several other smaller springs that are easily accessed. Blue Springs offers overnight camping and is very family oriented. Modest fees are charged for entry and for camping. Blue Springs is all about family fun! 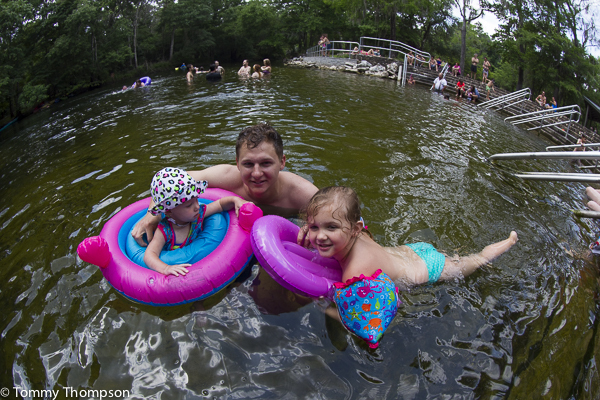 To fully experience Ginnie Springs, consider camping there for a weekend. There’s great swimming, snorkeling, rafting, , SCUBA diving and camping! Located just down the highway from Blue Springs and Poe Springs, this place is all about FUN! Fees are charged for camping and springs use. Rafts and tubes can also be rented there. 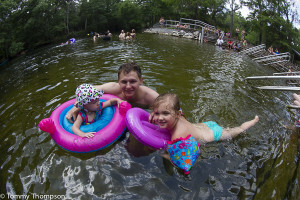 There are several springs at Ginnie Springs. Each has a different look!